Cat and Horses on Quilts --Oh My! 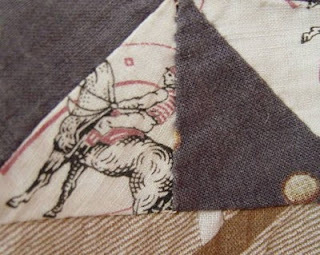 I'm very fond of novelty or conversation print fabrics. 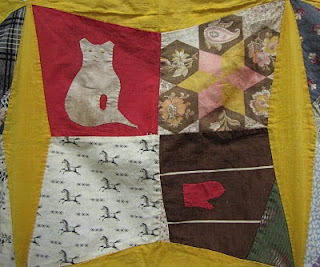 And thought I[d start sharing some of my favorites -both from my quilts and other sources. 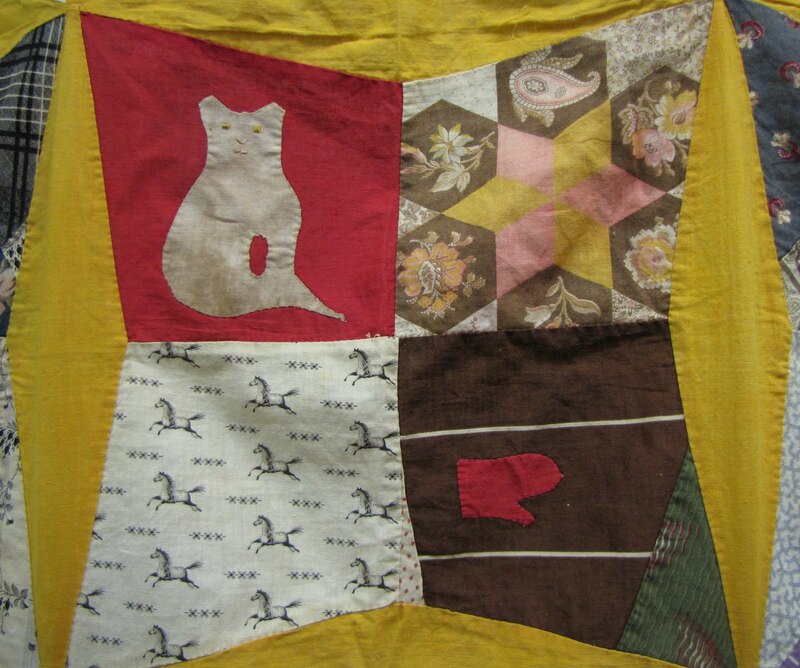 The cotton crazy quilt has lots of notable fabrics and funky folk appliques and the block above includes a cat along with a horse novelty fabric which worked well with the other 2 blocks I found in my photo collection. The cats and candles and thread are too cute although they do seem like a fire waiting to happen. These were a set of blocks that got away- I was outbid. 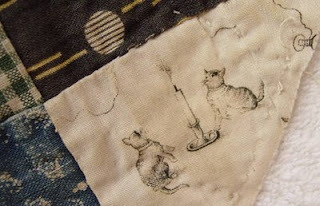 The cats and horse blocks were sold on eBay by JK Gardner. Both are also circa 1890. I'd love to see novelty prints in other collections, so please post and share.